Home » Mac solution: How to enjoy Blu-ray and DVD movies on Nokia E7, N8, and C7? So you just have a Nokia C7/Nokia N8 on hand? Some people believe that video storage on cell phones is the wave of the future as the storage capability of these devices increases at an increasing rate. Maybe that is true. Have you ever thought of putting your favorite movies on your Nokia phones, and using the 3.5-inch or the 4.0-inch display to enjoy Blu-ray and DVD movies on Nokia E7, N8, and C7 on the go? 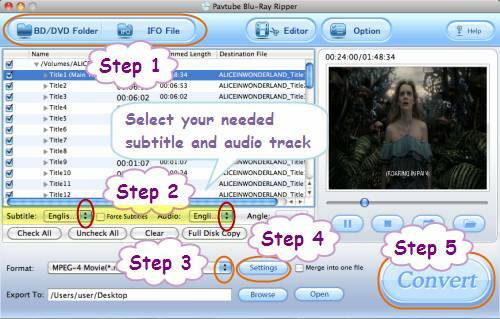 With Pavtube Blu-ray DVD to Nokia Converter for Mac, you can achieve the goal. The following tutorial will show you how to enjoy Blu-ray and DVD movies on Nokia E7, N8, and C7 by using Mac Blu-ray DVD to Nokia Converter to rip BD/DVD to Nokia E7, N8, and C7. How to enjoy Blu-ray and DVD movies on Nokia E7, N8, and C7? Once run the program, click “BD/DVD Folder” to load Blu-ray/DVD movie files, or you can click “IFO File” icon to load DVD IFO files. 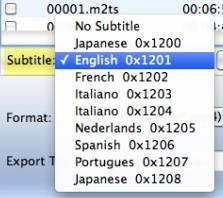 Click the drop-down list of “Subtitle”, then all the subtitle info in the Blu-ray/DVD will be shown clearly, including language and stream ID, so you can select your needed language as your subtitle. 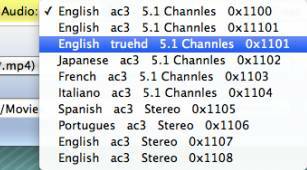 In addition, Pavtube Blu-ray DVD to Nokia Converter for Mac also offers an option called “Force Subtitle”. When you check “Force Subtitle”, you will see subtitles only when actors are speaking another language that is not your mother tongue. For instance, if you specify English (your mother tongue) as your subtitle, and meanwhile tick off “Force Subtitle” option, then when actors are speaking English, no subtitles will show up, but when they are talking with each other in French, the English subtitle will appear accompanying with the French. Click on the pull down menu of “Format” to select a proper file type for your Nokia E7, Nokia N8, or Nokia C7. We choose mp4 for instance. Just follow “Common Video”> “MPEG-4 Movie (*.mp4)”. To rip BD/DVD to Nokia E7, N8, and C7, Pavtube Blu-ray DVD to Nokia Converter for Mac allows users clicking “Settings” button to customize video and audio settings. The adjustable options include codec name, aspect ratio, bit rate, frame rate, sample rate and audio channel. We suggest you to adjust the pix at 640*360, because Nokia E7, Nokia N8 and Nokia C7 are all having a resolution at 640*360. In that way, you can get a well playback quality on your Nokia devices. Once the above mentioned 4 steps are finished, you can click the big button “Convert” to rip BD/DVD to Nokia E7, N8, and C7. 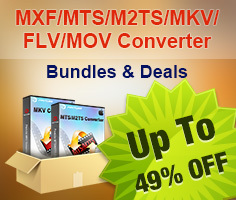 The Mac Blu-ray DVD to Nokia Converter will finish conversion at speed without any audio and video out of sync issues. 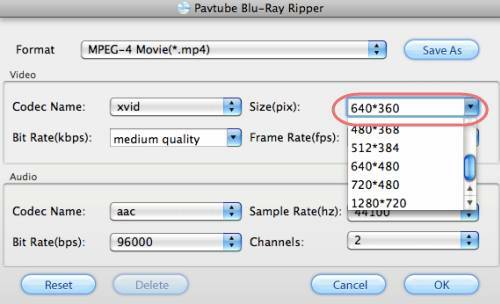 Once conversion is done, you can click “Open” button to get the ripped Blu-ray or DVD movie files. Now you are ready to enjoy Blu-ray and DVD movies on Nokia E7, N8, and C7.